You may have seen I have recently bought and moved in to my very first home. I have been posting a few different room tours explaining the make overs or perhaps lack of that each room went through. The room we did the least to being the bathroom, this was just because we loved the way it looked when we bought the house. I explained that the shower wasn't great so this may be something we could look in to changing at a later date, which will probably have to be after our wedding now. It came boxed up with all instructions which seemed very straight forward to follow. As this isn't my area of expertise I left Darren to put it up. It didn't take him long at all and we where really pleased with how it looked. 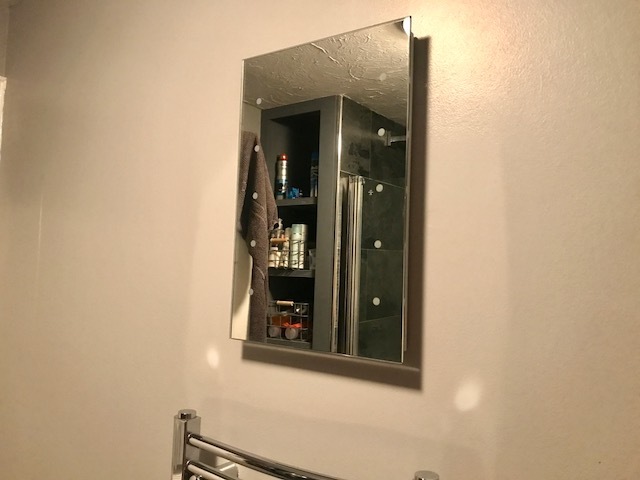 I would say I may have preferred something a little bigger however with the bathroom being small we cant really have anything too big as it would look silly! We choose the Lesto illuminated mirror that is battery operated. Meaning that no wires where needed and as mentioned it was easy to put up. It wasn't too heavy either which I have learnt is good for our walls. There is a small switch underneath for you to switch it on. I think this will look so pretty switched on when having a relaxing bubble bath with a few candles too! Over all I am really pleased with it especially for the price! 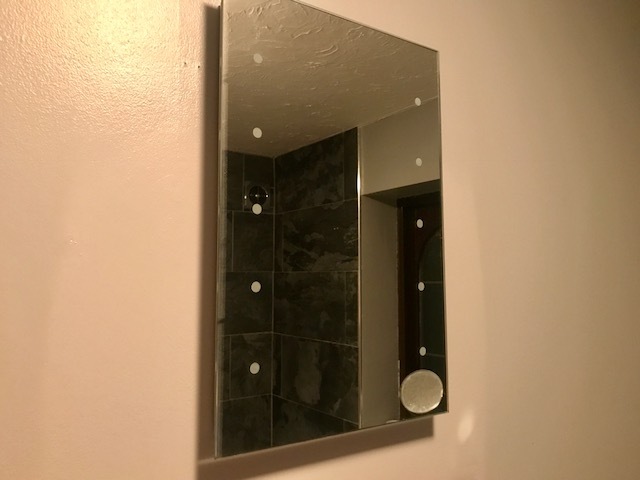 I would have expected these types of mirrors to be a lot more expensive than they are. 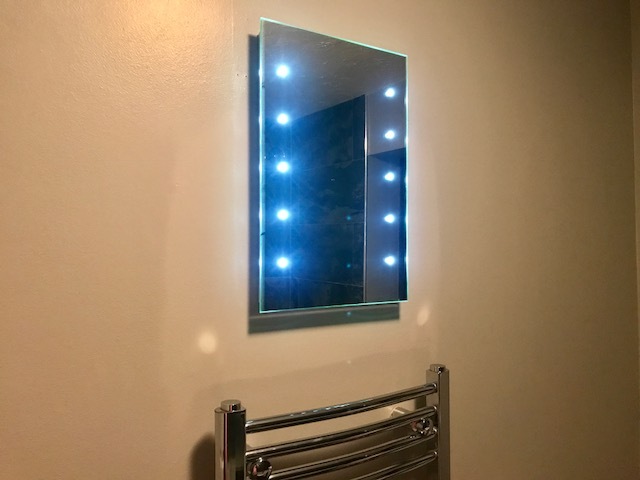 Thank you Luminos for lighting up my bathroom and adding a modern touch!